In the USA today, iBookstore have launched "Breakout Books" from emerging authors.... ALWAYS YOU HAS BEEN INCLUDED!!!! It's actually featured on the graphic on the homescreen too which is CRAZY!! lol. Anyway, here's the great part for US readers.... ALWAYS YOU IS JUST $0.99 FOR THE NEXT WEEK!! 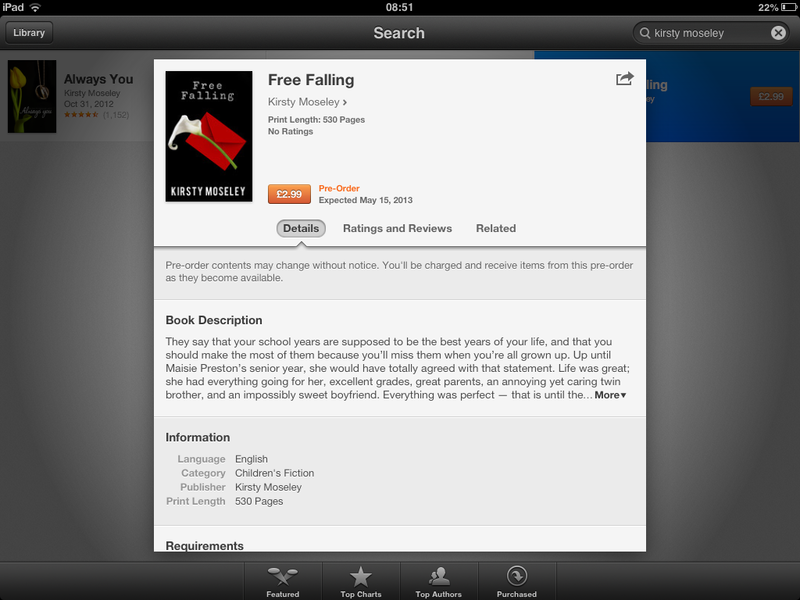 While it's featured, iBookstore have dropped the price of it so get it while it's cheap if you want to! You have until 11th Feb before the price goes back up again apparently. If you want Always You on iBooks, (or know someone that does) and are living in the US then hurry and get it quick. Subscribe to my newsletter and never miss a new release or sale again. I promise not to spam!